Write Well Always: B-Swagg. Unsigned Artist of the Week. B-Swagg. Unsigned Artist of the Week. Our Unsigned Artist of the Week for this week is B-Swagg from Nassau, Florida. With only sixteen years behind him, he is already on his way to having a thorough command his craft. Musically, he puts together an impressive blend of beats and lyrics that could set him up to dominate the music world. He has the ability to make a very serious song and still find space in his arsenal demolish a beat just for fun. With his budding musical ability, his youth becomes less of a crutch and more of a compliment when one thinks of how he has so much time to cultivate his skill. 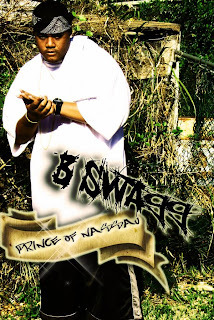 My favorite songs from B-Swagg are "Prince of Nassau" and "Ready for Love"
The Disbelief in the Economy. TiRon.Unsigned Artist of the Week. A Life for the Unliving. Dr. Hollywood. Unsigned Artist of the Week. Ya Boy. Unsigned Artist of the Week.